In December 2016, Munich-based developer Mimimi Productions surprised the world with its hit title Shadow Tactics: Blades of the Shogun. There hadn’t been a notable entry, if any, in the tactical stealth genre since the era of Commandos, Desperados, and Robin Hood: Legend of Sherwood. Shadow Tactics’ excellent soundtrack was provided by Berklee graduate Filippo Beck Peccoz, who had been working with Mimimi Productions ever since their debut title daWindci in 2011. For our December podcast, we went on a deep dive into both the composition side and the technical implementation of Filippo’s work for Shadow Tactics. With the game being set in Japan’s Edo period, live instrumentalists familiar with traditional Japanese music were vital for the OST’s signature sound. To make the interactive aspects work, the team coded their own system from scratch instead of relying on third-party middleware. Apart from Shadow Tactics, Filippo told us about designing the sound of the Spike roller coaster, which can be accelerated by the person riding it, as well as writing the music for retro-platformer and Kickstarter success FOX n FORESTS. 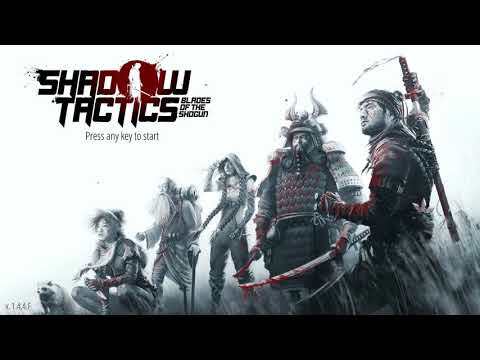 As a little Christmas present, we want to give you two of our favorite tracks from Shadow Tactics’ OST: Its main theme, which plays in the menu, as well as Lord Yabu’s Mansion, which accompanies one of the game’s formidable missions. The soundtrack is available for purchase on Bandcamp as well as the game’s Steam store page.